This article was last updated Aug 08, 2018, but some terms and conditions may have changed or are no longer available. For the most accurate and up to date information please consult the terms and conditions found on the issuer website. Frequent Walmart shoppers may see benefits from one of the retail giant’s credit cards — the Walmart Credit Card, which can only be used in stores and at Walmart.com, Sam’s Club® and Murphy USA gas stations, or the Walmart Mastercard that can be used anywhere Mastercard is accepted. The card that’s best for you depends on whether you want to use your card for everyday purchases. No interest for 6, 12, 18 or 24 months. After, a 24.65% variable APR applies for the Walmart Credit Card and an 18.65% - 24.65% variable APR applies for the Walmart Mastercard. Many store cards charge deferred interest — which means that if you take advantage of a special financing option and don’t pay off your balance in full before the promotional interest-free period ends, you will incur all the interest you would’ve been charged during the interest period. To avoid deferred interest charges, make sure you pay your entire balance in full before the promotional interest-free period ends. Continuing to carry a balance post-special financing period defeats its purpose and may cause you to fall into debt, since the interest rate is high at 24.65% variable APR for the Walmart Credit Card and from 18.65% - 24.65% variable APR for the Walmart Mastercard. *Note: the Walmart Credit Card is a store card — it cannot be used outside of eligible Walmart and Walmart-owned stores. Each month, your rewards are automatically issued as a statement credit. The rewards program is decent if you mainly spend money at Walmart.com; however, if you prefer to shop in-store, the 1% cash back for Walmart purchases is subpar. You can do better with flat-rate rewards or cashback cards, which we detail in the next section. With rewards or cashback cards, at least 2 points or 2% cash back per dollar spent is standard. The Walmart-branded cards don’t offer a flat-rate on all purchases, and predominately benefit Walmart.com shoppers (and Walmart grocery pickup consumers, if that’s your thing). If you want to earn a good cashback rate for all your purchases, check out some of the alternatives below. 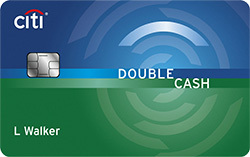 The Citi® Double Cash Card – 18 month BT offer is a $0* annual fee card offering cardholders the ability to earn 2% cash back on purchases: 1% when you buy plus 1% as you pay. The cashback program applies to all purchases, so you earn the same rate whether you shop at Walmart, Target or Whole Foods. This card also comes with Citi® Private Pass® where you can receive exclusive access to a variety of entertainment events like concerts, dining experiences and sporting events. In addition, with Citi® Price Rewind you can register eligible purchases and Citi will perform a 60-day search for a lower price. If a lower price is found, you may receive the difference up to $200 per item and $1,000 per year. 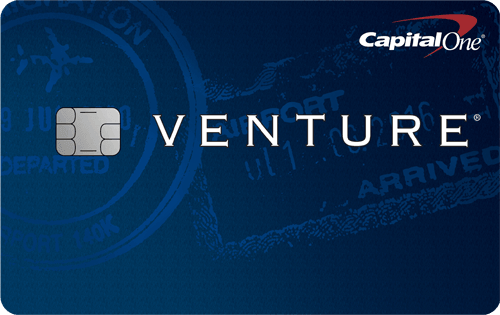 The Capital One® Venture® Rewards Credit Card is a travel card that offers 2 miles per dollar on every purchase, every day. This is a good flat-rate, but keep in mind there’s an annual fee — $0 intro for first year; $95 after that. Cardholders can benefit from not having to pay foreign transaction fees, up to $100 application fee credit for Global Entry or TSA Pre✓®, and the ability to travel without blackout dates, among other perks. Maybe you’re not a big fan of Walmart, or you shop at other big box stores like Target. If that’s the case, the Target REDcard Credit Card can come in handy. It has a $0 annual fee and a better rewards program than the Walmart-branded credit cards — you receive a 5% discount on Target and Target.com purchases (there are some exclusions). So, instead of receiving a statement credit at the end of the month, your discount is automatically deducted at the point-of-purchase. You can also benefit from exclusive cardmember-only presales — recently, cardholders got early access to select items from the Hunter for Target collection. If you’re an avid Walmart.com shopper and fan of Walmart’s grocery pickup, one of Walmart’s branded credit cards can benefit you. But, if you prefer to shop at brick-and-mortar Walmart stores, you could do better with other rewards or cashback cards that offer higher rewards rates.